The leading edge of Tropical Storm Gordon hurled rough surf, gusty winds and heavy rain at parts of the US Gulf Coast on Tuesday afternoon, hours before it was due to make landfall, possibly as a hurricane, forecasters said. 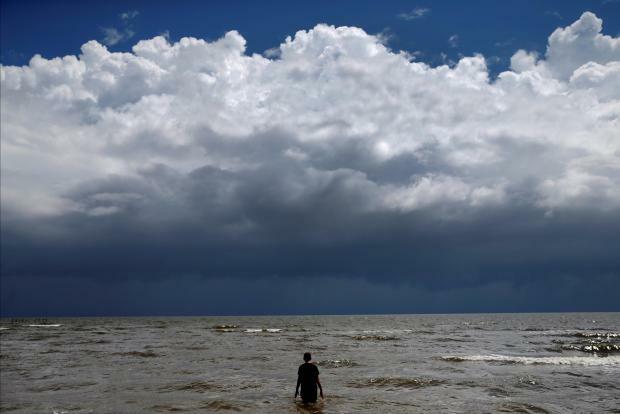 Gordon was due to come ashore late on Tuesday near the border between Louisiana and Mississippi, and drop as much as 12 inches (30 cm) of rain in areas still recovering from last year's powerful hurricanes, the National Hurricane Center said. "I’m asking all residents to do their part in getting ready for this storm," New Orleans Mayor LaToya Cantrell said in a statement. "The City’s absolute number one priority is to ensure the safety of our residents." Sea levels could rise as much as 1.5 metres from Shell Beach, Louisiana, to Dauphin Island, Alabama, forecasters said. Chuck Lamey, owner of Pops Pizzeria in Biloxi, Mississippi, said he planned to close by 3 pm instead of 9 pm on Tuesday before the storm hits land. "We're hoping to open at regular time tomorrow at 11 o' clock, but if it's still a threat we'll postpone the opening," Lamey said. "We want the employees to be safe and have time to prepare." US oil producer Anadarko Petroleum Corp evacuated workers and shut production at two offshore oil platforms on Monday, and other companies with production and refining operations along the Gulf Coast said they were securing facilities. The US Coast Guard said the ports of New Orleans and Gulfport and Pascagoula, Mississippi, may have to close within 48 hours.